Derrick T. Jordan, MDiv, LMSW, is a graduate of Union Theological Seminary, where he earned a Master of Divinity, and Columbia University where he earned a Master of Science in Social Work, concentrating in Advanced Clinical Practice. Since 2008, Derrick has led faith-based educational initiatives and serving in ministerial capacities at nationally recognized churches. Derrick’s extensive pastoral care and counseling experience guides his current clinical work; navigating the complexities of faith and spirituality at the intersection of race, ethnicity, culture, gender identity/expression, and sexuality. 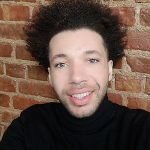 Derrick trained at Ackerman Institute’s Social Work and Diversity Program, Gender & Family Project: Unity Project in Family Engagement and Acceptance, and has experience as a therapist working with families impacted by the child welfare system. The lens through which Derrick’s work is informed, is one that celebrates the richness of diversity, culture, as well as individual and collective experiences to create a greater sense of wholeness and wellbeing.